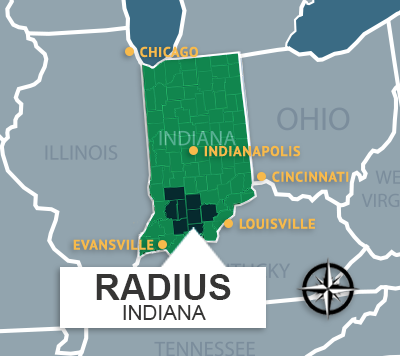 Radius Indiana is a regional partnership representing eight counties in Southwest Central Indiana: Crawford, Daviess, Dubois, Greene, Lawrence, Martin, Orange, and Washington. 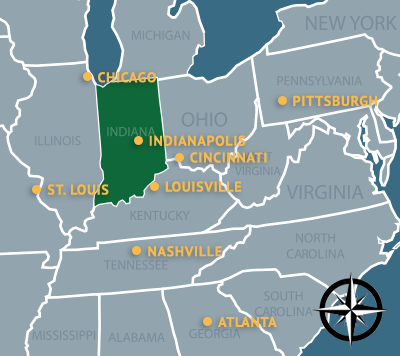 Radius Indiana also serves as a point of contact in Indiana for Naval Support Activity Crane and leads regional collaboration by leveraging our diverse assets to drive attraction, retention and expansion of business. As a results-driven regional leader in economic development we work to increase employment, investment and quality of life within region. Radius Indiana has issued a Request for Proposal for a digital marketing campaign. To view the RFP, please see Veterans’ Workforce Recruitment Digital RFP. Check back soon to see what’s coming up! We design it. We build it. We grow it. We ship it. Do you know a #farmer or someone in your community, who has spent their life serving others? Thank you to @DukeEnergy for investing in economic development!